IKM Testing Aberdeen is delighted to announce the expansion of its service provision to include IKM Valve Services, which oversees the supply & repair of valve packages and the swift delivery of quality new and overhauled products. IKM Testing Aberdeen made a substantial investment in 2017 to enable the construction of a fully equipped valve repair workshop within its custom built facility in Westhill, Aberdeen. This development enables IKM to deliver a comprehensive service to its clients. Its customised and advanced testing facility further ensures that all of its clients’ valve supply and repair needs can be satisfied in-house. Ross Wilson joined IKM in 2017 as Valve Operations Manager and was tasked with heading up this exciting new chapter in IKM’s growth. During his 15 years’ experience in the valve industry, Ross has worked for both OEM and service companies, ranging from manufacturing and leading valve service divisions, through to valve contract management for multiple North Sea oil and gas operators. 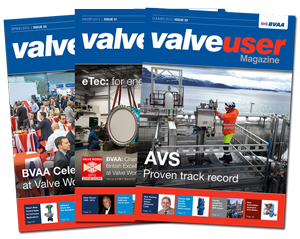 Ross combines a comprehensive technical knowledge of the valve industry with a clear understanding of the needs and challenges faced by clients. With less money to go around and the industry continuing to move forwards cautiously, this capability means clients can rely on IKM to consistently provide an efficient and cost effective service. Since its inception in 2017, IKM Valve Services have tackled several particularly challenging valve work scopes, both onshore and offshore, for multiple North Sea clients who required carefully engineered solutions tailored to their specific needs. An example being non-intrusive acoustic leak detection and quantification, which can be done on a live system. IKM’s unique approach allowed the client to gain a thorough overview of the valve seating capability on the full spread of valves on their export compressor system. This allowed strategic planning of valve change outs and overhauls, saving time and money. IKM Valve Services draw on its extensive experience and know how, with the aim of reducing production downtime, providing an efficient and cost effective service, whilst maintaining the highest level of safety. IKM Valve Services are bolstered by IKM’s integrated service model, enabling the smooth delivery of additional bolt on services by IKM Testing Aberdeen, such as torqueing and tensioning, leak testing and on-site machining. This ability to oversee the seamless delivery of multiple service lines out of one location, whilst ensuring both the client and safety remain their utmost priority, confirms IKM Testing Aberdeen’s status as a market leader in service quality, integrity and innovation. IKM Valve Services deliver on both the supply and repair of any valve type, including bespoke engineered valve solutions, all the way through to Complete Valve Management. IKM Valve Services aim to continually exceed client expectations, while maintaining the highest standard of safe operating practices, whether on an urgent repair requiring 24/7 support and dedication or partnering on a long-term project, where robust planning and communication are key.